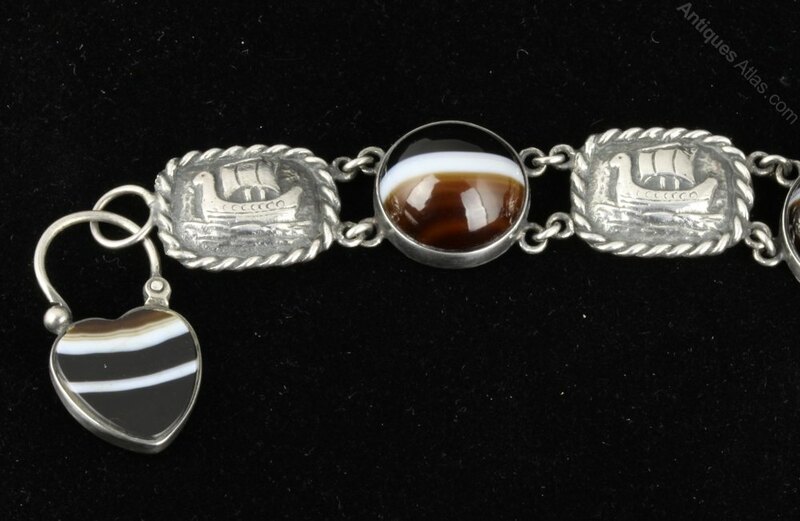 A stunning Scottish Iona Arts & Crafts silver and agate cairngorm bracelet. Dating to circa the 1950's it is in good condition, commensurate with age, and is fully marked up JMP IONA SCOTLAND SILVER. It measures 190mm long plus the catch, with the ship links 16mm by 19.5mm, the Cairngorms 16mm diameter and 9mm high and the padlock catch 30mm by 16mm. 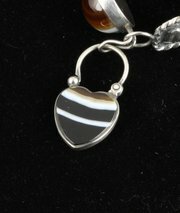 A quality piece of Iona Arts and Crafts jewellery.The price includes UK Special delivery postage. 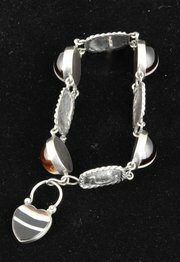 It will be sent in a custom Levels Antiques jewellery box.